An old time favourite given the Sugar and Crumbs Twist to revamp the deliciousness! 1. Add the flour, butter, icing sugar and egg yolk plus 1 Tablespoon of cold water to a bowl and using your fingers work together to create a dough. 2. Once fully combined tip the pastry onto a lightly floured surface and roll out to a thickness of approx 3mm. 3. 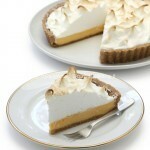 Using a loose bottomed tart tin approx 23cm wide place the pastry inside and push into the edges and up the sides. Trim any excess with a sharp knife. Don't worry if the pastry cracks just push it back together. 4. Prick the base with a fork all over and cover with clingfilm. Place in the fridge for 30 minutes to 1 hour. Heat the oven to 180c/160c fan gas mark 4. Cover the pastry with foil or baking paper and pour over some baking beans and bake for 15 mins, then remove the beans and paper and bake for a further 5-8 mins until golden. Take out and leave to cool. Whilst the pastry is baking make the filling by mixing the cornflour, sugar and lemon zest in a saucepan, stir in the lemon juice then the orange juice with 200 ml of water , on a medium heat stir constantly until thickened and smooth. Once its thick and bubbling remove from the heat and stir in the butter until melted, add in the egg yolks and the whole egg, stir in then return to the heat stirring for a few minutes until the mixture thickens again and is bubbling. Set aside. To make the meringue, add the egg whites to a clean bowl whisk until it forms soft peaks, add half the icing sugar a spoonful at a time, whisking in between, whisk in the cornflour and then whisk in the remaining icing sugar a spoonful at a time until its all used and the mixture is smooth and thick. Reheat the filling for a few minutes then pour into the pastry case, smoothing out towards the sides. Using a large piping bag cut a large hole in the bag and add the meringue to the bag, pipe the meringue on to the tart in big blobs starting from the outside edge so it touches the pastry edge and then continue to pipe blobs until you reach the middle. 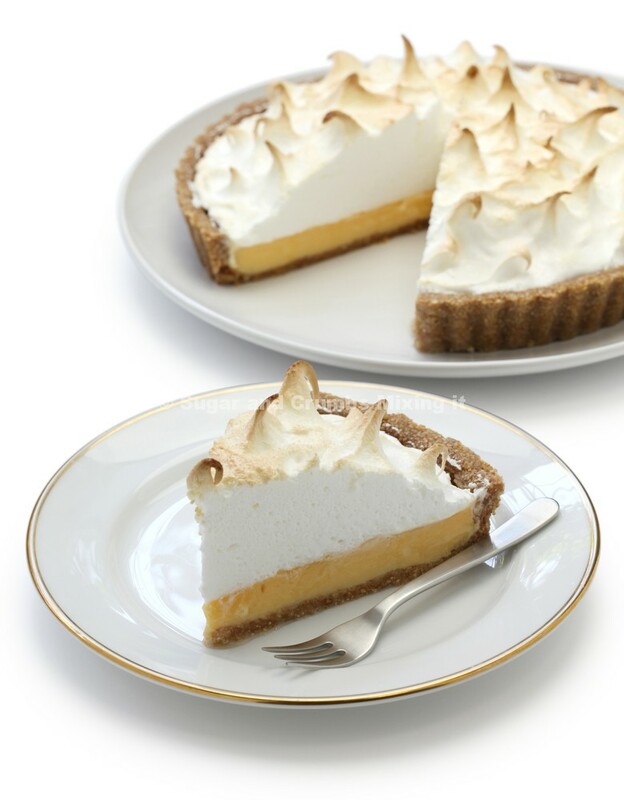 Bake in the oven for 18-20 mins or until the meringue is cooked and has a crisp edge, take the pie out and leave to cool completely for an hour approx. Here is the link to the YouTube video for this recipe.